The Defendant is a Las Vegas-based fantasy sports company that offers online sweepstakes related to the annual tournament. Plaintiff moved for entry of Default Judgment after the Defendant failed to defend itself. After establishing that the Defendant was liable for trademark infringement and trademark dilution due to their failure to defend, the Court granted all relief the NCAA requested. 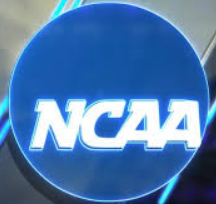 Among the relief sought, the Defendant must “recall from all distribution channels all products, services, advertising, and promotional materials bearing the NCAA Marks and any colorable imitations of them, including FINAL 3 and APRIL MADNESS.” Defendants are further permanently enjoined from using the marks and any versions of them. The Court also granted the NCAA attorney’s fees in what the Court stated was an exceptional case of willful infringement. This case was assigned to Chief Judge Jane E. Magnus-Stinson and Magistrate Judge Matthew P. Brookman in the Southern District of Indiana , and assigned Case No. 1:17-cv-00712-JMS-MPB.